The AP Calculus Concept Outline. 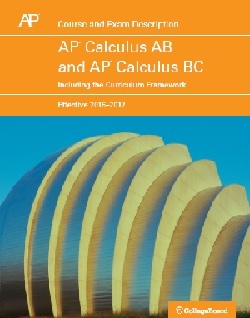 This is the first of four posts on the new AP® Calculus AB and AP® Calculus BC Course and Exam Description (CED). If you do not yet have a copy, click the link above to download the PDF version. The CED contains general information about the AP Calculus program (format of the exams, number of questions, etc.). Probably the first thing you will want to look at is what topics will be covered on the exams. 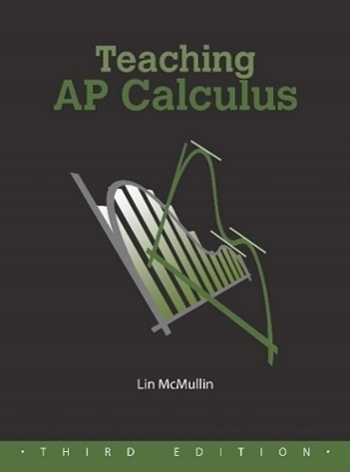 Turn to pages 11 – 23 for the Concept Outline for AB and BC calculus included in one document. The topics are organized in what is known as the Understanding by Design model by Wiggens and McTighe. This is to help you see the overall structure of the courses. The courses are first divided into four Big Ideas – limits, derivatives, integrals and the Fundamental Theorem of Calculus, and (for BC only) Series. Enduring Understandings (EU) These are the long-term takeaways; things students should understand about the Big Ideas. Learning Objectives (LO) These are things that students will be able to do. The assessments are based on the LOs. Since all of the AB topics are also BC topics, there is only one list; BC topics are highlighted in blue and marked (BC).For clarification, the EKs list a few topics that are not tested on the exams such as the epsilon-delta definition of limit. Overlying all of this are the Mathematical Practices (MPACs) that are the topic of my next post. The CED contains almost 50 pages of sample exam questions, both multiple-choice and free-response. The LOs, EKs and MPACs that apply to each question are shown along with the question. There are a few changes and additions to the topics in the courses. The previous Framework document listed the first two items below as changes to the old Topical Outline. A close reading of the new Concept Outline reveals a few other changes also included in the list below. L’Hospital’s Rule has been added to the AB course. L’Hospital’s Rule was already a BC topic. (As a side note, I kind of wish they had not done this. I like the questions where the limit definition of the derivative was needed to find certain limits. Since these are always indeterminate forms of the type 0/0 they can now be done mechanically with L’Hospital’s Rule – but that’s just me). The limit comparison test, absolute convergence, conditional convergence, and the alternating series error bound were added to the BC course. To the best of my recollection the word “displacement” has never been used on an AP Calculus exam, although the concept was there. Be sure students know the term and how to find the value. Finding antiderivatives by algebraic manipulation. This includes long division and completing the square. Completing the square leads to antiderivatives that are inverse trig functions. Let me end with examples from the last bullet point. Long division of polynomials is the first step in this example. Later this summer the College Board will publish a full practice exam in the new format. It will be secure (or as secure as they can be). It will be under the secure documents at your audit website. Be sure to look it over so you can see these new questions and how they are asked. Also look for some changes in style in some of the multiple-choice questions (see AB 26, 30, 79, 80, 83, and 86 and BC 22, 23, 29, 79, 82, and 87). I believe the document will also show a complete discussion of the multiple-choice question, which LOs, EKs, MPACs apply to each one, and what calculus mistakes lead to the wrong choices. Another thing that affects the topics, style and format of questions on the new exams are the Mathematical Practices (MPACs). The MPACs will be the topic of my next post. The College Board has produced a series of short videos on the new CED. Click here to see these Course Overview Modules. Thanks for your post. I have a question, when you say….”Also look for some changes in style in some of the multiple-choice questions (see AB 26, 30, 79, 80, 83, and 86 and BC 22, 23, 29, 79, 82, and 87).” you mean those questions from the new full practice exam that will be published soon? Yes, they are questions on the “2016 Practice Exam” to be released soon. Bookmark this blog post so you can find it then. The way it was explained to us is that ETS made up all the exams they need for 2017 plus one extra. After they were all prepared they then picked which one would be the operational exam, which the overseas exam etc., and which would be the Practice Exam. Thus, while it will never be given, it’s a close to an actual exam as possible. The old 2007 practice exam was made up separately by folks who were not currently one the exam committee and were asked not to communicate with the exam committee.